What Is UEFI, EFI, And BIOS. What Is UEFI, EFI, And Legacy BIOS. 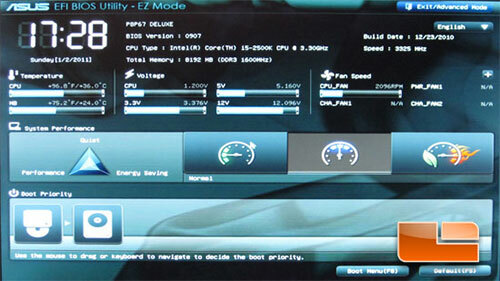 back home » Knowledge Base » What Is UEFI, EFI, And Legacy BIOS. Since the existence of PC, Microsoft has been creating a lot of Operating systems, from DOS to Windows 8. However, computer does not start directly with operating system. Before the start of any operating system, BIOS will start first, initializing the system's hardware. BIOS exist since 1975, but hasn't been upgraded so much. Intel created a new firmware that was released in 2002 called EFI, today computer motherboards are using Unified EFI with graphic interface. In this tutorial, you'll learn their differences. Enjoy it. BIOS stands for Basic Input Output System. [Invented in 1975] BIOS is what starts first, and prepare a system's hardware before the start of any Operating System. BIOS is stored on the PC motherboard. When you first hit the Power button of your PC, what you'll first see on your monitor is, the BIOS start up which will go through the following process. Power On Self Test or P.O.S.T the initialization and identification of system devices like CPU, RAM, Keyboard, Mouse, Harddisk drives, Video Display Card and other Hardware installed. And then check for option ROMs- Initialization of LAN [Network boot ROM], PCIe, SCSI, etc. BIOS will afterwards search and locate on your storage device or CD/DVD if a boot loader exist, and then pass the control to it, and will start the default Operating System into the computer's memory. In the late '90s when Intel thought of creating a processor that can run up to 64bit, and found out later that, the standard BIOS [16bit] wasn't enough to be used on 64bit. Intel started working on the creation of a sided placement for the good old BIOS, and came out with EFI [Extensible Firmware Interface] which was released with their New Itanium x64 processors in 2002. Three years later , Manufactures like; [AMD, American Megatrends Inc., Apple Computer Inc., Dell, Hewlett Packard, IBM, Insyde, Intel, Lenovo, Microsoft, and Phoenix Technologies]. came together, founding the UEFI Forum where again together, bringing more ideas in bettering off the EFI 1.10 specification created by Intel and renamed it to UEFI. UEFI [Unified Extensible Firmware Interface] is a Firmware specification, which is originated from EFI [Extensible Firmware Interface] a Firmware created by Intel. 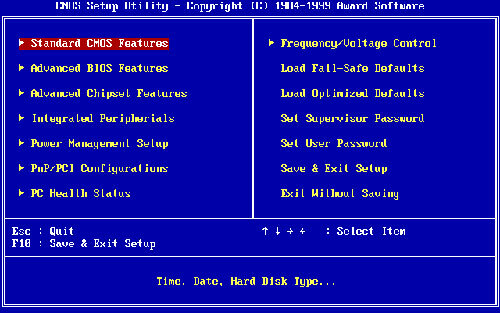 Before the creation of EFI, PCs was commonly running on BIOS which has a lot of limitations [16bit]. However, in use by many leaving a legacy for UEFI. UEFI is just the Firmware Specification, so everyone may use the UEFI specification and re-write his/her own new UEFI compatible specification. However, UEFI expect BIOS vendors, OS vendors and add-in card vendors to all implement products based on the Unified EFI Specification. By using the word LEGACY here, we're referring to the old mechanisms like; PS/2 Keyboard and Mouse, Floppy Disks, HDD-cylinder/Head/Sector, that may be present under system using UEFI BIOS, and however, needs the support of BIOS to make them work. Whether they're been used or not, since they're present, a compatible BIOS must also be present. Plus, UEFI uses a different interface for "boot, and runtime services", and does not specify how POST & Setup are implemented. Therefore some platform firmware must perform the BIOS -Power On Self Test or P.O.S.T- used for system configuration and Setup, and this makes UEFI still enjoy the Legacy BIOS. Convert Win 7/8/8.1 Inst. from Legacy to UEFI.